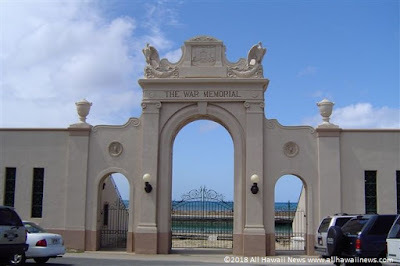 Supporters of the Natatorium applauded the city’s latest plan for restoring the deteriorating Waikiki memorial: a $25.6 million rebuild that would keep the historic structure and pool mostly intact. Star-Advertiser. Where Does Tulsi Gabbard Fit In The New House Democratic Majority? The Hawaii congresswoman, who’s considering a run for president, has been outspoken about party establishment and wasn’t a major factor in Democratic fundraising efforts. Civil Beat. Thousand Oaks shooter was once stationed at Kaneohe Marine Corps Base. A gunman who opened fire at the Borderline Bar & Grill in Thousand Oaks, California, late Wednesday night is identified as 28-year-old former Marine Ian David Long. KITV. Hawaii the top state for prescription ED medications, study says. This comes after both Cialis and Viagra -- the top selling ED brands -- went generic, making the drugs less expensive. KITV. Using Artificial Intelligence to Identify Humpback Whales. Artificial Intelligence has been used for everything from teaching computers to play chess to helping speed ride-sharing services on thei rway. And now one government agency is using it to track humpback whales in the Pacific. Hawaii Public Radio. Union of Hawaiian Telcom, Cincinnati Bell ‘going well’. It’s getting dissed by a competitor as no longer being a local company, but Hawaiian Telcom is doing well since Ohio-based Cincinnati Bell acquired the longtime kamaaina phone, internet and TV service provider in July. Star-Advertiser. A North Carolina doctor and his wife have filed a class-action lawsuit against Marriott International and Kyo-Ya Hotels &Resorts for not telling them that the workers in their hotel were on strike before they came here on their honeymoon. Star-Advertiser. 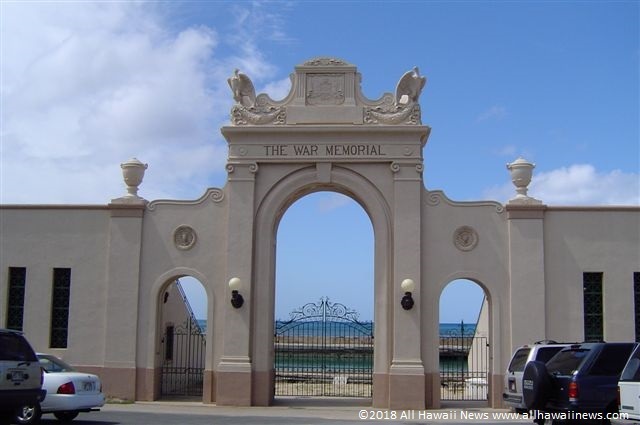 Mayor Kirk Caldwell is hoping to find a private partner to help pay for the planned redevelopment of the Neal S. Blaisdell Center complex. Star-Advertiser. Cost to hire special duty Honolulu police officer increases. Right now the regular rate for a special duty officer is $36 an hour. That'll go up to $40 dollars an hour Jan. 1. KHON2. Analysis: 1 in 5 homes on Oahu worth $1M or more. Oahu’s median house price is $800K. Real estate website Trulia ranked Honolulu’s housing market fourth in the nation for having one of the largest increases in homes worth $1 million or more in 2018. Hawaii News Now. Honolulu Among Top 10 Destinations for Thanksgiving Travel. AAA Hawaiʻi is reporting that 54 million Americans will travel this Thanksgiving, and Honolulu is among 10 top destinations where travelers plan to visit. Maui Now. Agents bust alleged shark fin smuggling ring at Honolulu’s airport. The men reportedly had the shark fins in their luggage. Hawaii News Now. A stretch of Kuhio Highway between Waikoko and Wainiha damaged by heavy floods will not be open until next year. The repairs were expected to be finished this fall, but officials say in order to bring in heavy equipment, they first have to repair the Waioli, Waipa and Waikoko Stream bridges. Hawaii News Now. Down to Earth to reopen first standalone store at Pearlridge Center on Dec. 1. The new 13,000-square-foot store is located at Pearlridge Center east across the street from Pali Momi Medical Center, next to the old Toys R Us. KHON2. As work on Honolulu’s 20-mile rail line begins to enter more populated areas, the state’s Harbors Division said it is looking at how it can capitalize on transit-oriented development opportunities. Pacific Business News. Relocation of Kakaako farmers market to bring new life to demolished Ward Warehouse space. The Kakaako Farmers Market has found a new, and hopefully long-term, home in part of the recently demolished Ward Warehouse space. Pacific Business News. Kim resumes work on plan for Maunakea. Kim, who in November 2017 received a green light from Gov. David Ige to propose a new management structure for the mountain, said he is back to talking with a seven-member working group that will help him refine his vision for Maunakea, which he thinks can be a symbol of international cooperation, the pursuit of knowledge, and the Hawaiian people. Tribune-Herald. Big Island reps get new assignments. Rep. Mark Nakashima has been named vice speaker of the state House of Representatives. Tribune-Herald. Gun owner contests petition in open-carry case. The attorneys for the Hilo man challenging Hawaii’s open-carry gun law filed a response Thursday to the state’s latest legal maneuver, saying its argument is both legally wrong and “far too little and far too late.” Star-Advertiser. Vacation Rental Ban Could Be ‘The Final Death Blow’ For Puna. Critics argue these rentals are one of the few economic bright spots in the lava-ravaged district. Civil Beat. Vandals damage Big Island park, closing it for $12K repairs. Repairs will be made to the bathroom, water fountain and storage lockers. Hawaii News Now. A vision for an improved Volcano School of Arts and Sciences is moving forward, and has gotten Windward Planning Commission approval. Big Island Video News. Big Island tea cooperative optimistic about new ag venture. With the help of farmers, landowners, investors and consumers, a Big Island cooperative hopes to establish a specialty tea industry in Hawaii. Tribune-Herald. Maui Electric to Build Storm Water Retention Basin in Maalaea. The basin is planned to further protect surrounding areas from excess storm water overflow that could occur at the facility during heavy rains. Maui Now. Maui Lawmakers Secure Leadership, Committee Chair Assignments. Maui Now. Jump start on legislative leadership. Democratic State Reps. Dee Morikawa and Nadine Nakamura have hit the ground running in leadership positions with the House of Representatives, flying to Oahu for meetings the day after the election. Garden Island. 'You gotta speak up'. The Kauai protest at the intersection of Ahukini Road and Kapule Highway near Lihue Airport was one of many nationwide rallies calling for the protection of special counsel Robert Mueller’s investigation into potential coordination between Russia and President Donald Trump’s campaign during the 2016 election season. Garden Island. The annual Kauai Veterans Day parade, traditionally held on the first Saturday of November and presented by the Kauai Veterans Council, returned to Kapaa town, coordinated by the Kapaa Business Association. Garden Island.